My kiddos' closet, as well as my own is in massive need of spring cleaning. My issue is that I get started on the organization and cleaning out, but keep getting interrupted midway through- leaving a closet that looks worse than when I started (at least to my husband). 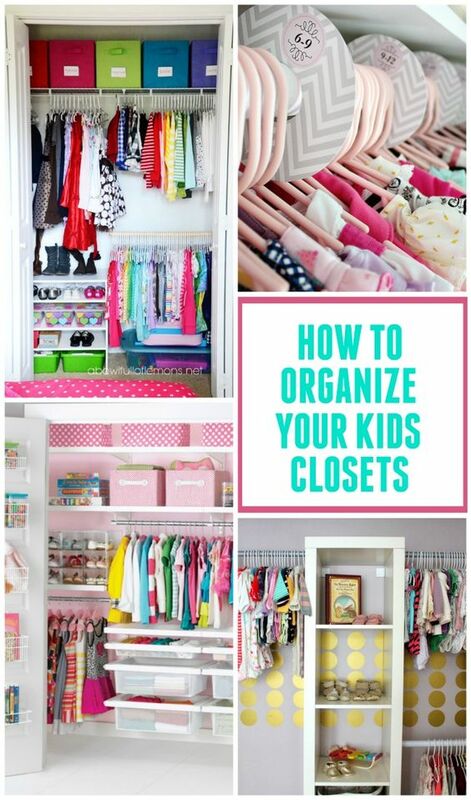 Find the kids closets here. 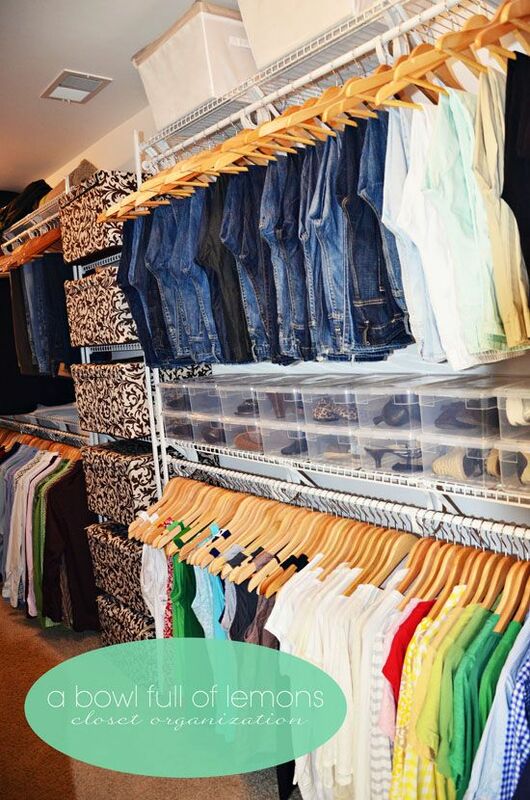 So, instead of getting back to it, I'm pinning closet organization ideas. Productive huh? I wish I had the good sense to have an organizer come in and get it all fixed for me, but the thought of a stranger seeing their current condition fills me with shame. Last Saturday I was struck with a migraine and was forced to spend the majority of the day flat on my back. I had to miss a fun girls' night out. Feeling very sorry for myself indeed, it got even worse when I woke up at midnight and couldn't get back to sleep thanks to a throbbing head. 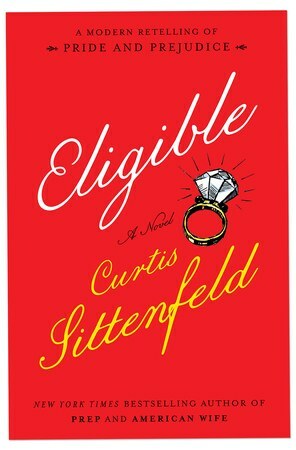 Luckily, I ordered "Eligible" by Curtis Sittenfield on my Kindle, heated some Campbell's chicken noodle, and made the most of my misery. It was an apt re-telling of "Pride and Prejudice". Not likely to enter the canon of great literature, since it's almost too current with its Crossfit references, and various other subplots. However, a highly enjoyable with a wryness that reflects the original. I picked this up for Dell Harper at AC Moore the other day. We have had a blast with it! 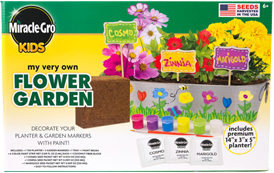 She painted the tub and plant markers, we soaked the dirt and seeds, then planted. She monitors her sprouts (which came up surprisingly fast), every day with joy. Ahh, a mini-gardener. Aren't these adorable? I couldn't resist getting them for my girl. If only they came in my size. Thanks Target for some kids' clothes that are not inappropriate for once! Normally, I am not much of an ice cream person. I can eat a whole pan of brownies in one sitting, but a pint of ice cream can sit unattended in my freezer for months. However, it's been so hot in the afternoons lately, and I made the fatal mistake of hitting up the grocery hungry. These little nuggets came home with me. 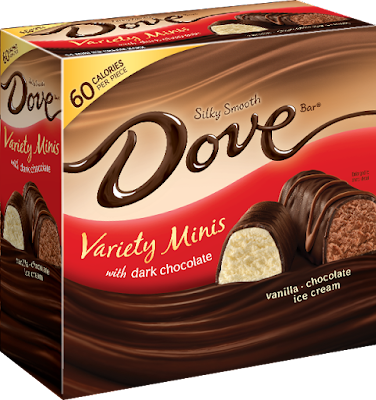 They are the perfect amount to satisfy a craving for something cold and sweet! 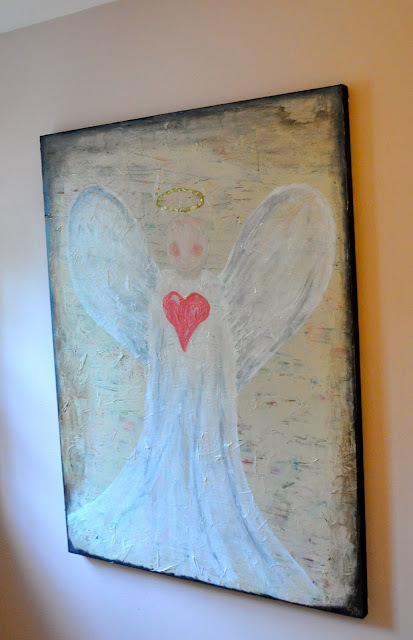 Thanks to the Five on Friday gals for hosting the link-up! 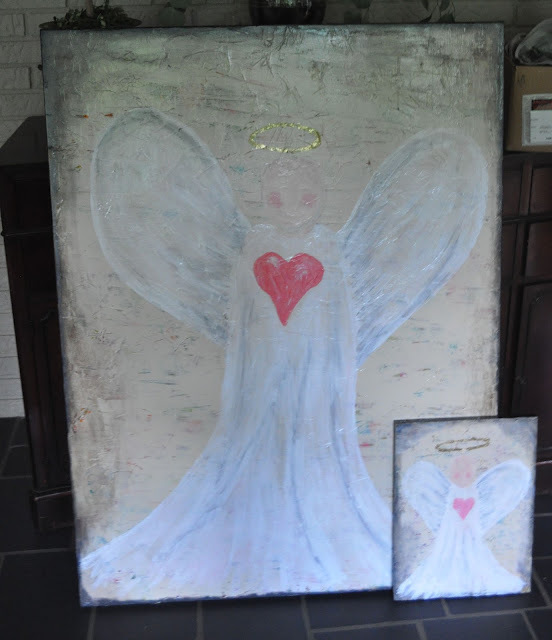 I just finished two angel paintings for a silent auction this weekend that benefits Breakthrough, a local organization that serves adults with autism. It's an incredible group, which I'm so honored to be involved with. The paintings are actually multi-media pieces- painted over a design of tissue paper cut into puzzle pieces (Autism's symbol is the puzzle piece). 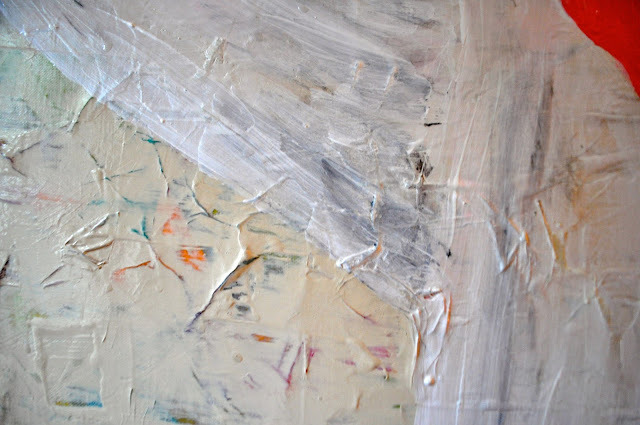 This makes an awesome texture. Then the angels are painted with acrylic, oil stick and gold leaf. If you are interested in one let me know, and I will put you on the list! Each piece is completely custom, and very reasonably prices. I'm donating my time and materials to benefit this amazing cause. It makes it easy when I'm doing something I love to help those who need it! Now back to my real job(s)- motherhood and lawyering. 1. I got a great parking space at Kroger today. And saved $15 with my Kroger card. Anna, got my favorite bagger-lady, who never leaves stuff out, and packs my bags in the best way. 2. Tonight's church supper is Zoe's steak kabobs, and Greek salad. And bread. And dessert. 3. Kroger had big jugs of Milo's unsweet tea, in stock and on sale. 4. I'm eating my favorite homemade tuna salad with capers and dill, along with some Nut-Thins for lunch. 5. I made jazz on time, even when dropping both kiddos off at school. This is a miracle of drop and run, good lights, and sparse traffic. And the instructor running a bit late. These are the things to remember, when I'm slogging through work the rest of the afternoon, while watching my iPhone slowly die. Never a good sign when the battery goes from 28% to 1% in 30 seconds. While turned off. C'est la vie!! So, I will get cracking on this while I hide from my children. . . It's relaunched and it's really cute. 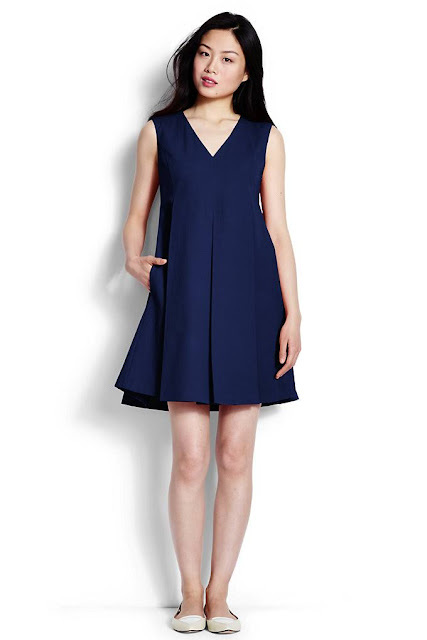 If I still worked in an office, I'd be snatching up the colorful classic dresses and jackets for a bit of brightness and fun. I'm pining over this little number, since I've never met a trapeze dress I didn't like. 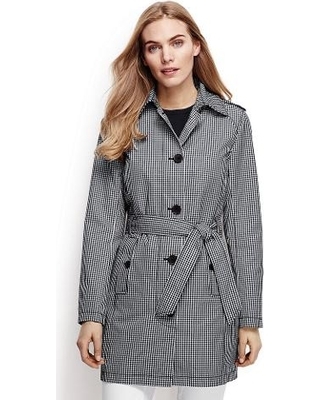 Also, I was walking through Sears the other day, and this darling trench coat at Lands End caught my eye- the pictures do not do it justice. 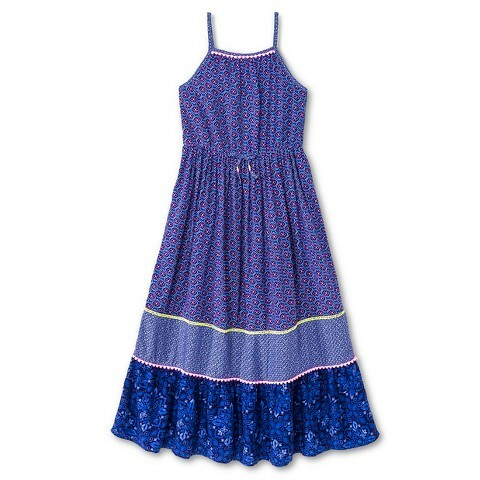 I'm waiting for a sale, but it will be a wardrobe staple next fall, winter and spring! This isn't really a quiche, more like a sausage spinach pie. Whatever it is, it's delicious, and has been a family favorite for as long as I can remember. I was craving it the other day, so I dug out my copy of the Knoxville Junior League cookbook, and tried my best to remember all of Mama's modifications to the now unrecognizable original recipe. 1. Preheat the oven to 400 degrees. Prick holes in the bottom of the pie crusts, and bake for 8 minutes. 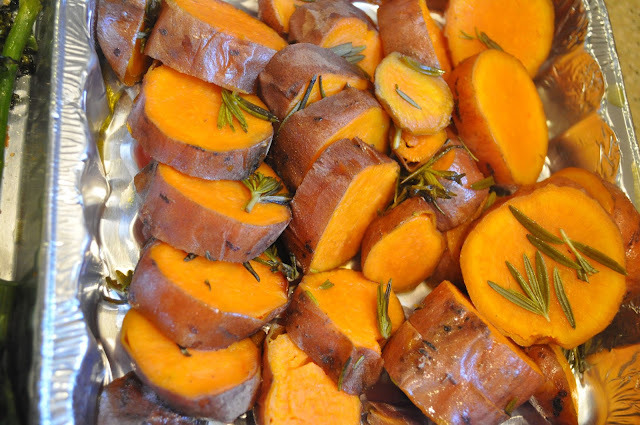 Reduce the oven heat to 350. 2. Brown the sausage and drain the fat. Let cool while you combine the rest of the ingredients (I like to mix everything but the eggs, including the sausage, check for seasoning, then add the raw eggs.). 3. Fill the pie shells and bake for 40-45 minutes. YUM! 4. The Headmaster's Darlings and All the Governor's Men. 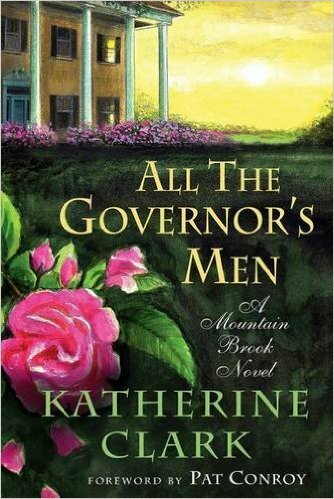 I stumbled upon Katherine Clark's novel while perusing the Southern authors section at Red Dog Books over spring break. My favorite bookstore for a reason. 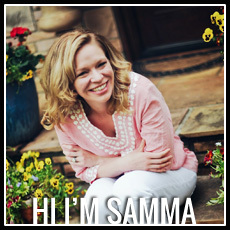 A protege of Pat Conroy, I love her attention to detail and effortless creation of atmosphere. "The Headmaster's Darlings is a satirical comedy of manners featuring the morbidly obese Norman Laney, an unorthodox, inspirational English teacher and college counselor for an elite private school in Mountain Brook, a privileged community outside of Birmingham. 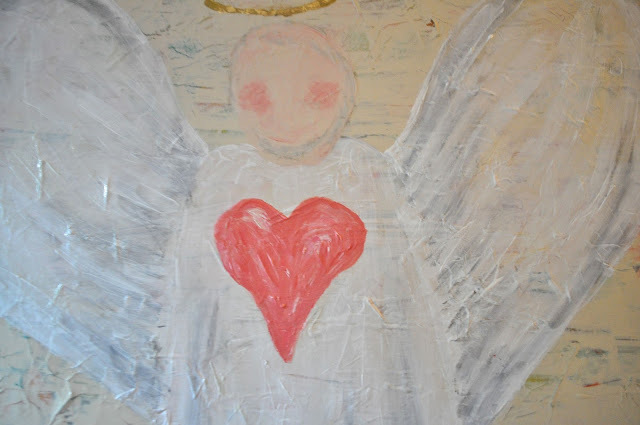 A natural wonder from blue-collar Alabama, Laney has barged into the exclusive world of Mountain Brook on the strength of his sensational figure and its several-hundred-pound commitment to art and culture. His mission is to defeat "the barbarians," introduce true civilization in place of its thin veneer, and change his southern world for the better. 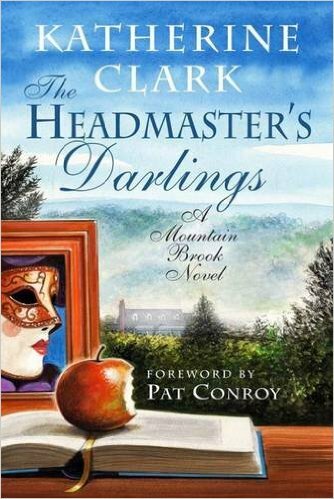 Although Laney is adored by his students (his "darlings") and by the society ladies (also his "darlings") who rely on him to be the life of their parties and the leader of their book clubs, there are others who think he is a larger-than-life menace to the comfortable status quo of Mountain Brook society and must be banished." And the reason I stayed up too late last night? Her newest release. Ignore the dopey, old lady like covers. These are excellent, smart, beautifully written novels. Read them! In entirely housewifely news, I am quite taken with these little laundry helpers. After Deeds had to wear slightly pink shirts all winter, despite my careful sorting of the kids' clothes, I decided drastic measures needed to be taken. 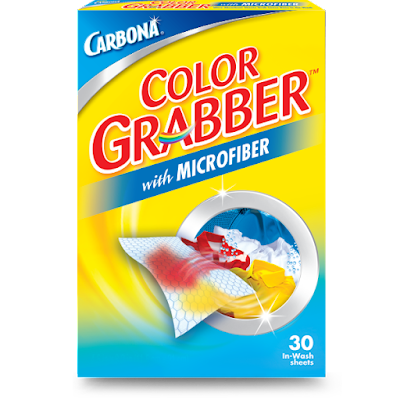 I simply put one of these sheets in every load of children's clothing I wash, and it picks up all of the excess dye from sneaky embroidery or stay pjs. It's so satisfying to pull it out after the cycle, gray with all the color that's not discoloring their cute appliquéd tees. I found them at Walmart, but I'm sure Amazon has them as well. Thanks to Five on Friday ladies! This weather is just kicking tail- so long WINTER!. I can't get enough. 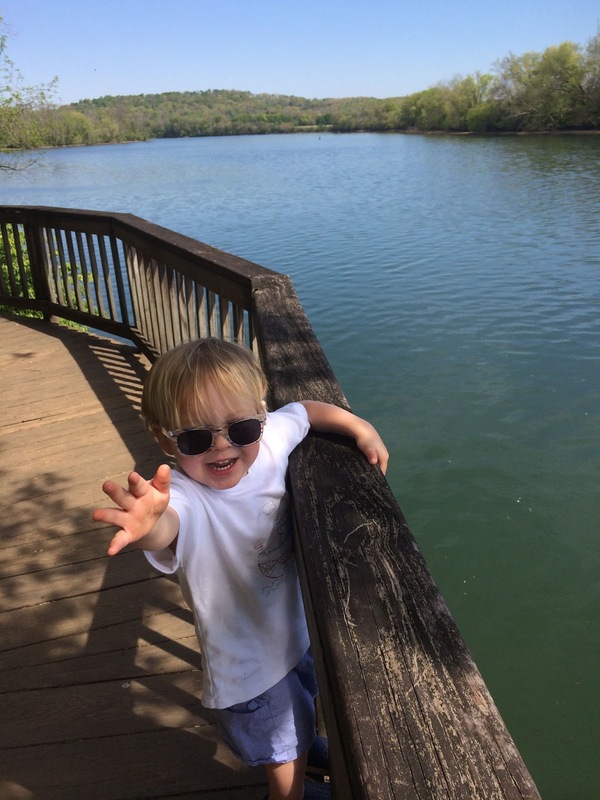 Deeds and I went to Ijams Nature Center Friday, then returned Saturday with Dell Harper. 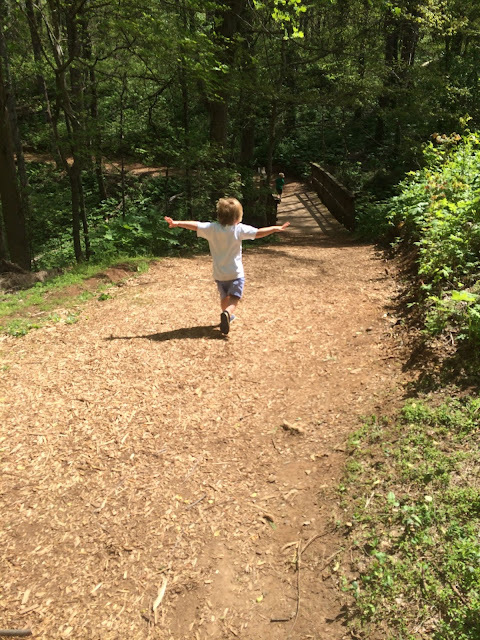 For those of you who live around here, I can't recommend Ijams enough for kiddos. 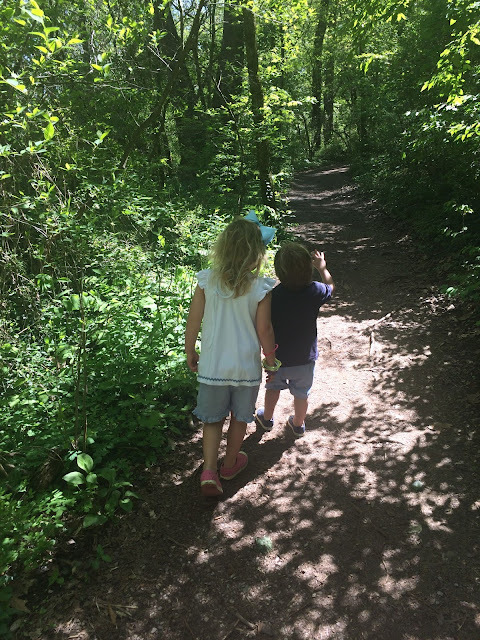 We had the best time walking the trails to the river boardwalk, then playing in the play area and running around the field. Caves, fish, lizards? Doesn't get much better than that. 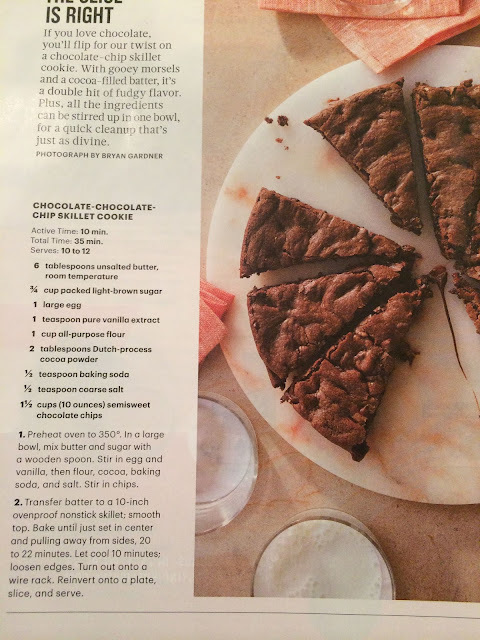 In other parenting wins, Dell Harper and I tried to make the Chocolate-Chocolate-Chip Skillet Cookie out of this month's Martha Stewart. Side note- I love when you see a recipe that sounds delicious, and you actually have all the ingredients on hand. 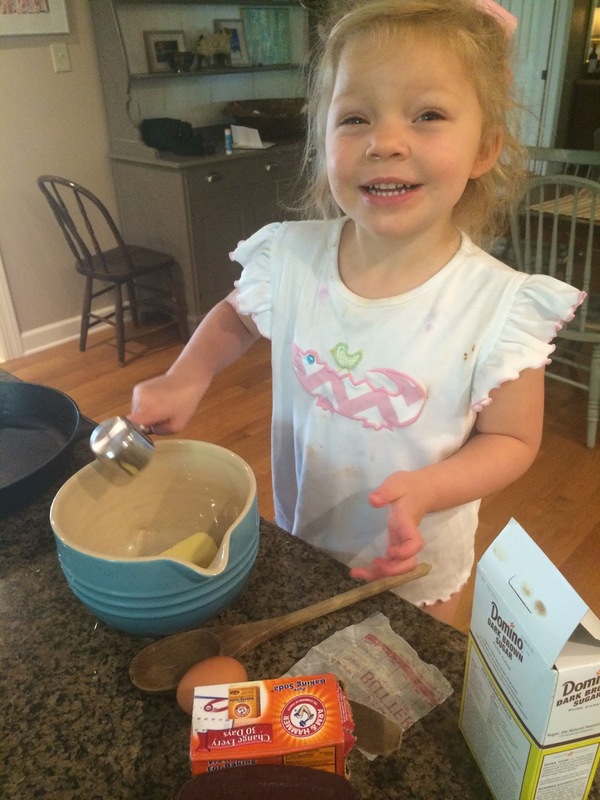 Nothing like a little impromptu baking to win your daughter's heart. Ours fell apart, but still tasted "very, very good" according to my sous chef. Unfortunately, while we were out to dinner Friday night Buddy got the tupperware of the leftovers off the counter, and pried it open- eating 2/3rd of a skillet of dark chocolate brownies. 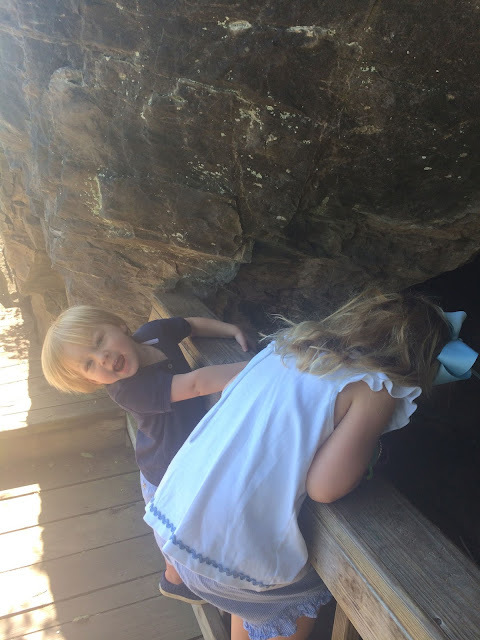 He was cool as a cucumber by the time we got home and finally realized what had happened. I frantically used a dog chocolate consumption calculator (thank you internet! ), and realized he would be okay. Luckily, I knew exactly how much chocolate was in it since we made it ourselves. Still, the rascal got to sleep in bed with us to keep a close eye on him. Rewarded for eating my cake! The injustice! 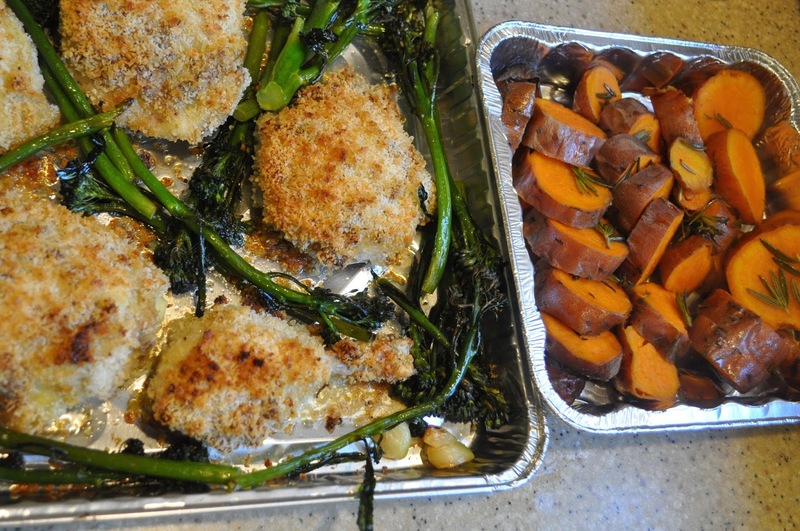 What turned out a little better was last night's dinner, thanks to a recipe from Pinch of Yum. 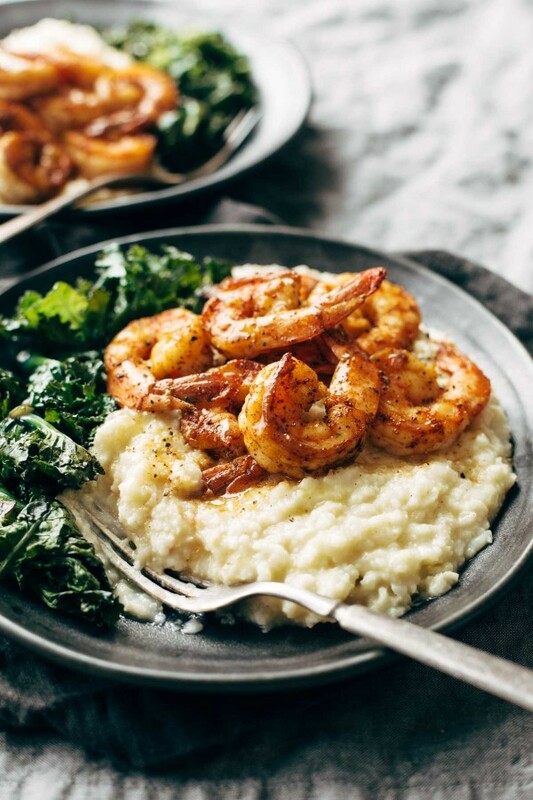 Spicy Shrimp with Cauliflower Mash and Garlic Kale- find it here. Delicious! 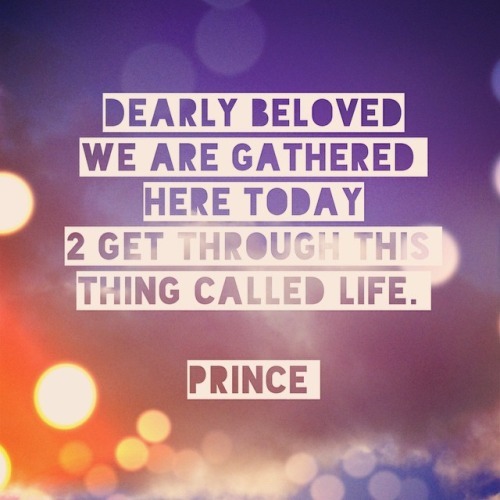 Picture obviously not mine- from Pinch of Yum. So tasty! We all had seconds. Well, Deeds had seconds of ketchup (aka red dip), his primary source of food at dinner of late. Now for more sunshine. . .
Morgan teased me the other day when I got super excited about something totally ridiculous- I can't remember- maybe he picked up some new garbage bags or something. I laughed about it, but I truly believe that is the key to happiness. 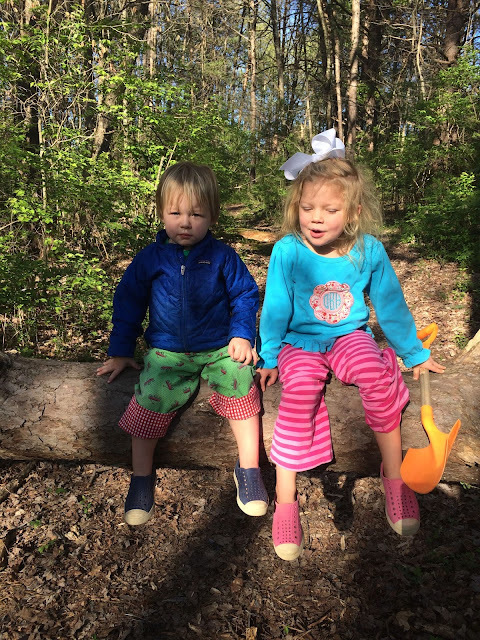 Feeling joy at a plate of perfectly scrambled eggs, the first rose blooming on the bush, two children playing together, an empty laundry basket, or a stack of new magazines and a free hour. How can you not be happy when you can experience stuff like that? Excuse me while I get even cheesier, but one of my favorite jazz instructors said "optimism is a muscle- you have to exercise it every day for it to develop and grow stronger. you choose to be happy every day". Speaking my truth there! We all have bad days, but we can choose to have faith in the goodness and joy in life. I'll step off my Pollyanna soapbox now, before I start devolving into Bobby McFerrin territory. This is a delightful all in one meal that's perfect to bring to friends who are in need of a little help! And for once, it's healthy and easily tweaked to accommodate dietary restrictions. It's delicious! The recipe comes from the always wonderful Melissa Clark at the New York Times. 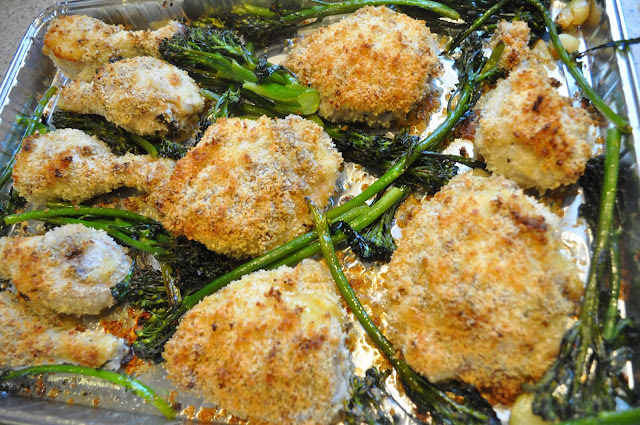 I tweaked it very slightly- subbing panic for the bread crumbs and rosemary for the thyme, based on what I had. I added bread and dessert for my meal train recipient- disposable sheet pans made transport a breeze! 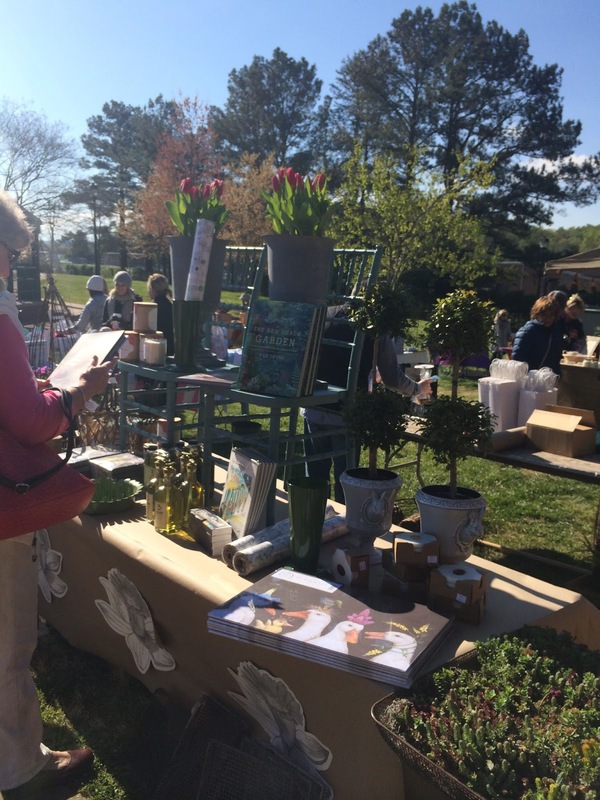 I had a busy weekend working at a local plant sale for my garden study club. It was absolutely freezing! We were all bundled up with chapped faces by Saturday evening. Better cold than rain, however! 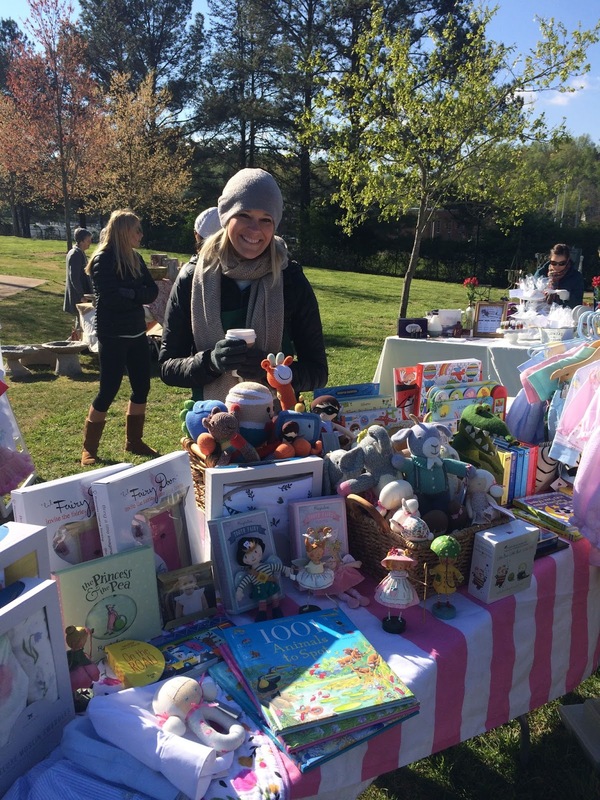 My job was taking care of the consignment vendors. It made it very difficult not to whip out my checkbook constantly. 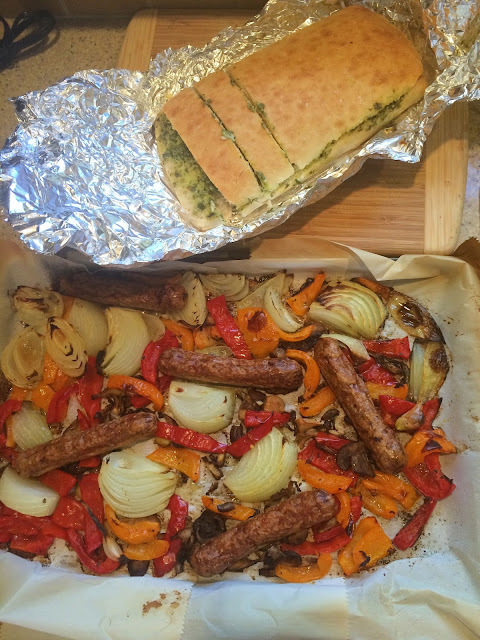 I made (yet another) sheet pan dinner the other night- sausage and pepper with garlic basil bread. Too good!! I will share the recipe later this week. We saw The Book of Mormon Thursday night- absolutely hysterical!! I could not stop laughing. Fair warning- it is extremely vulgar. But also extremely smart and hilarious. Loved it. Poor little Deeds has the worst allergies. I just started him on chewable Claritin. Simultaneously, he starts acting HORRIBLY. Extremely aggressive- just pushing people out of the blue, refusing his nap and staging a huge battle to go to bed. Just WILD! Thank goodness for Google- I thought about the allergy medicine and how Benadryl makes him crazy. I googled "toddler behavior side effects Claritin" and about a million message boards popped up- not sleeping, aggressive, uncontrollable, etc. I breathed a huge sigh of relief! This poor little guy apparently does not do well with antihistamines. He's getting a prescription nasal spray instead. Sweet little buddy. Book(s) of the Week- "Life After Life" and "A God in Ruins"
I've got about ten minutes until Deeds wakes up from his nap, and then I whisk the kiddos off to Wednesday night supper. So instead of getting started on the (8 dozen!!) cookies I am supposed to have baked by tomorrow, or folding and putting away laundry (the absolute horror! ), I'm curled up with a Miss Marple and a chai tea latte. Bliss. My Agatha Christie put me in mind of two absolutely amazing books I recently read. Solely because of the time frame and location- there is little else in common. I read Kate Atkinson's "Behind the Scenes at the Museum" a number of years ago, and adored it. Then I forgot about how much I love her brilliant writing (and use of parenthetical, ha!). 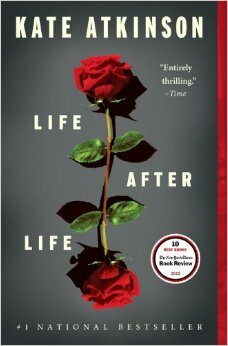 When I picked up "Life After Life" from the library, my own life came to a bit of a standstill, as I could not stop reading it. Reminiscent of a Pick your Own Adventure, except the author enthralls us with the different ways the heroine's life could have gone- primarily set in Britain between WWI and WWII. You will vacillate between sadness and pleasure as the book twists and turns through different outcomes. It's unlike anything I have had the pleasure of reading before. 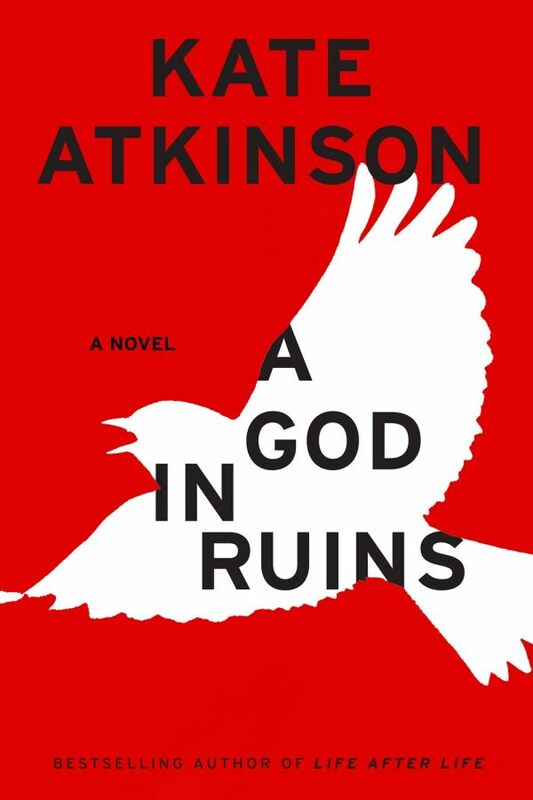 "A God in Ruins" is "Life After Life"'s follow-up, tracing the life of the heroine's beloved younger brother. Although it's not necessary to read Life first, I highly recommend doing so, as the stories flesh each other out so nicely. A God follows a more linear story-telling methods, although does flash between several character's viewpoints. Y'all know how awful I am at book reviews, but go to the library, bookstore, or kindle immediately and procure a copy of each. Clear your calendars and get reading! 1. 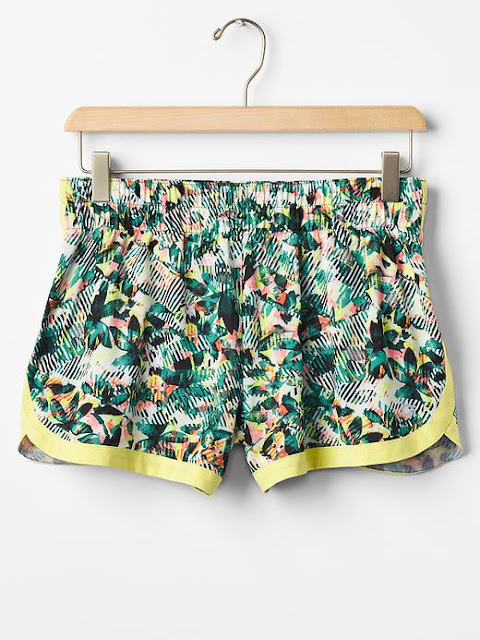 I know I am always yammering on about Gap's workout clothes, but I just got the cutest tops and shorts to revamp my spring/summer workout wardrobe. How cute are these? 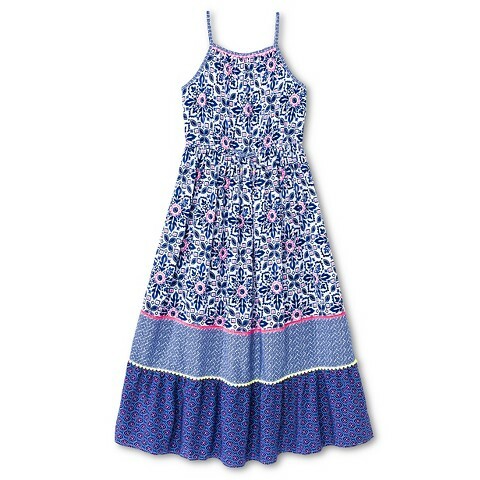 And they were 40% off, so I am sure they will be again soon! 2. I'm in love with this Georgia lake house. You can find pictures of the rest of the house here. 3. 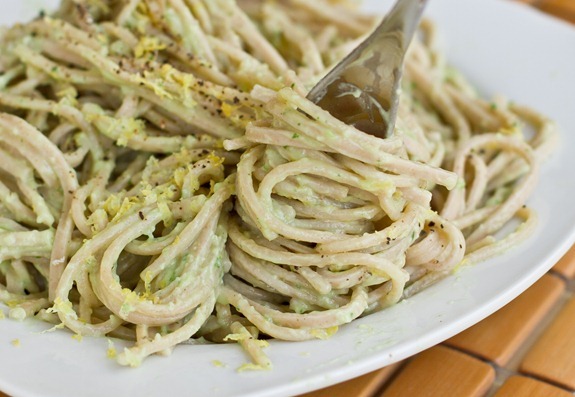 I made Oh She Glows avocado pasta for the kids before heading to a girls' night last night. 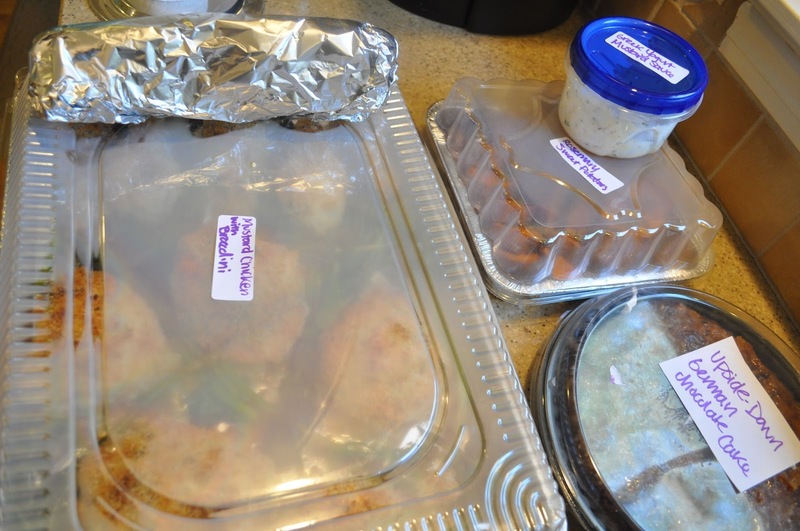 It was so easy and a huge hit! I've talked about Little Hoot before- my friend Colleen's kids' clothing company. We were pretty excited to bust out our new gingham shorts (although we had to keep long sleeved tees on). So cute! Love that my dino-loving girl gets her own pink T-Rex! I refreshed some of my Easter flowers with some Early Azaleas out of the yard. Aren't they glorious? I will ditch the azaleas and hydrangeas, which wilt so quickly, and keep the arrangement going, as the white carnations will last forever. Just keep sprucing with colorful blooms from my garden! And yep, the pretty white flower? The poor carnation. In natural colors? They are beautiful, inexpensive, and the workhorse in my arrangements. Just mass them together! Thanks to the Five on Friday ladies for hosting the linkup!